volumex wrote: Come on guys, lets get mech'in... the crisis needs you. 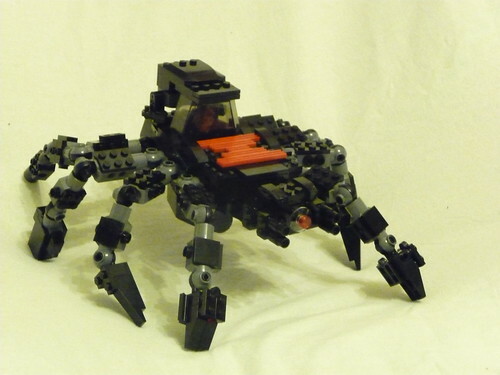 I present my entry for the entirely heroic Black Widow; The Widow Mech. 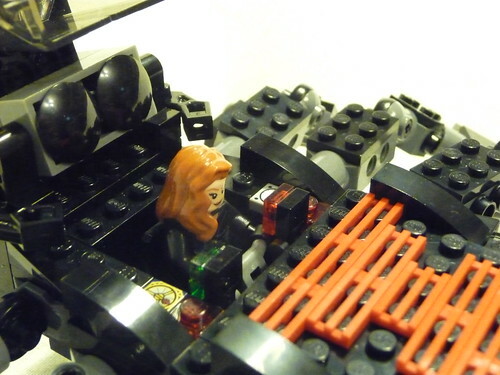 In her unusually long, and interesting life Natasha Romanoff has undertaken various missions which have brought her into contact with many of the World's best scientists and engineers. When she needs a big, ol' fighting mechanoid built for her, she calls in a number of favours. The machine's designer's took inspiration from her codename and based the robot on the deadly spider. The Widow is equipped with all manner of useful armaments. 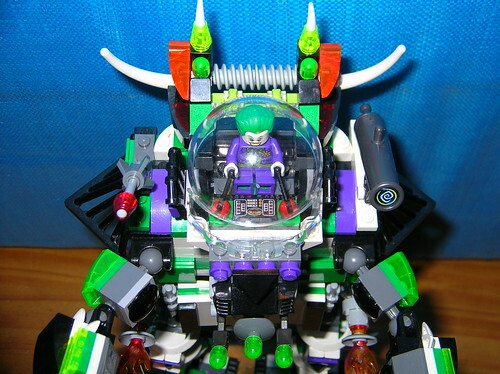 Mounted in the spider's head are four cannons. The front two legs have powerful pneumatic claws mounted on them and the next pair of the legs are tipped with heavy, bladed spikes for close combat. One pair of legs are mounted with machine guns and the rearmost legs carry Starktech repulsors and can be employed for both propulsion and as weapons. The Widow is capable of deploying in a number of ways, including rearing up on the hind legs to stand tall against more traditional 2 leg mechs. Please see Flickr stream for more pictures. Where are all the entries man? ImpendingDoom wrote: Where are all the entries man? Just finished mine, though no pics till the morning. But don't be expecting anything amazing, I also started earlier tonight. I'm happy to announce my first ever entry into an FBTB contest, as well as the first custom I've built in several years. I chose Forge, an X-man and a hero from the Marvel universe. I was largely inspired by the sentinels from the classic X-Men TV series in the 90's. Plus, a mech that was designed to deal with the wide variety of mutant powers, should be well-equipped to handle whatever it is that's hurtling towards the earth. During a sentinel attack on the X-Mansion, Forge gets an opportunity to field-test an EMP weapon that he's been working on. It doesn't function as planned though, and instead of disabling all of the sentinels it just burns out the programming, command, and control circuits in one (so, basically the sentinel's entire nervous system). Forge takes this as an opportunity, and re-wires and programs the sentinel himself. 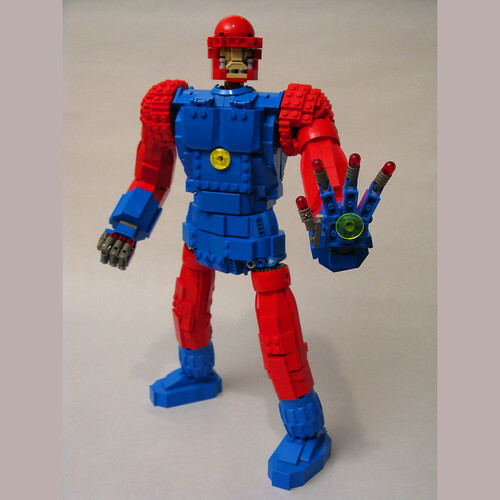 Stripped of it's connection to the Master Mold that created it, Forge re-purposes the sentinel as a manned mech to protect the X-men and all of humanity. This is the also the first time that I've built a large-scale figure, and I have a new found respect for all the mecha builders out there. This thing was a nightmare to get to stay standing, and to give his limbs some mobility while keeping them sturdy enough to stay posed. Good luck to all and big thanks to the mods for putting this contest on! Last minute entry, nearly!!! And here it comes, I proudly present you my Mech for the super villains – Gentleman Ghost Robo! I know that it is a quite strange choice for the character, so I think I should go over it a little bit first. When I first noticed this awesome contest, I have thought about a few characters: The Riddler, Scarecrow, Clock King and Gentleman Ghost ( That’s of course!!). 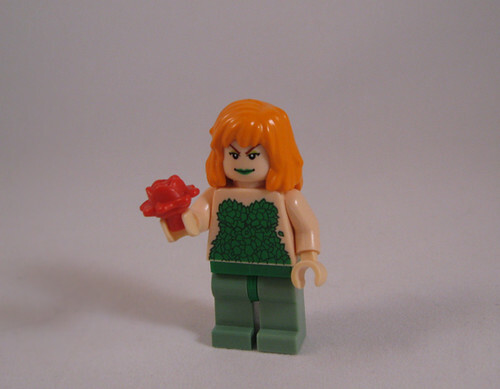 But due to the lack of minifigures of scarecrow and a piece of clock (Yes, I still haven’t got ONE of that even I have played Lego for such a long time…. ), I decided to make either the Riddler or Gentleman Ghost. 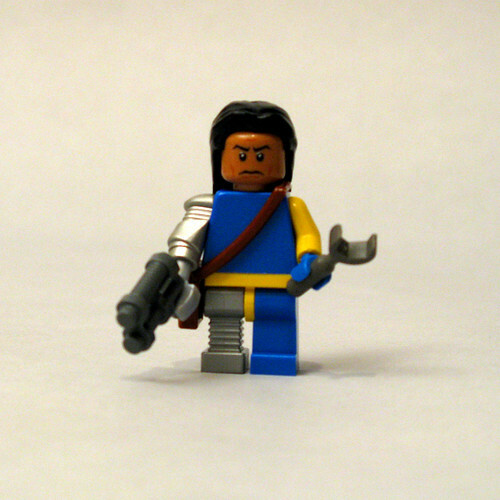 But when I have looked at the other amazing creations by you awesome guys, I think I’d better choose a character that hasn’t been made by Lego before. So that’s why it turns out like this. Thankyou very much for spending your valuable time to see my entry. Hope you like it and will support mein the vote!! P.S. Some of you may ask why Gentleman Ghost is in black suit not white, well, this is only because of the different versions. But I think the white one should be the original. 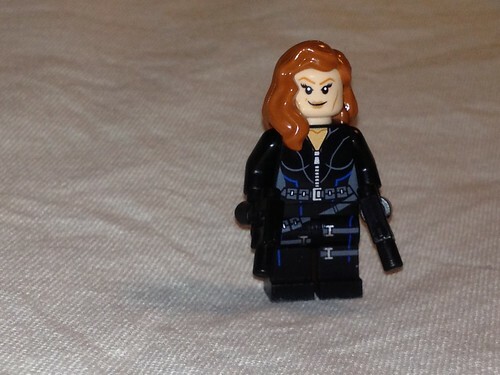 ^Nice minifig! 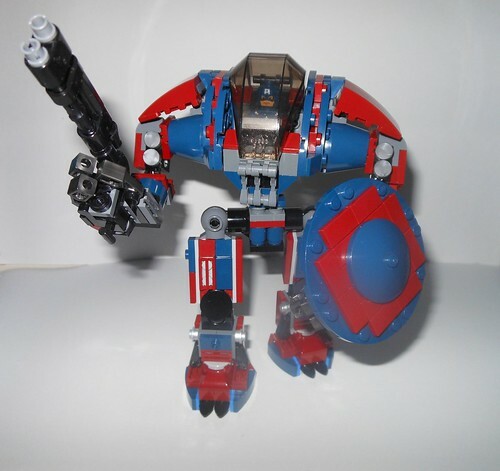 Cool mech too. 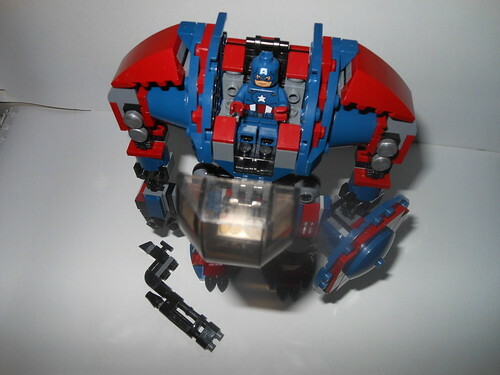 ^^That sentinel looks great! 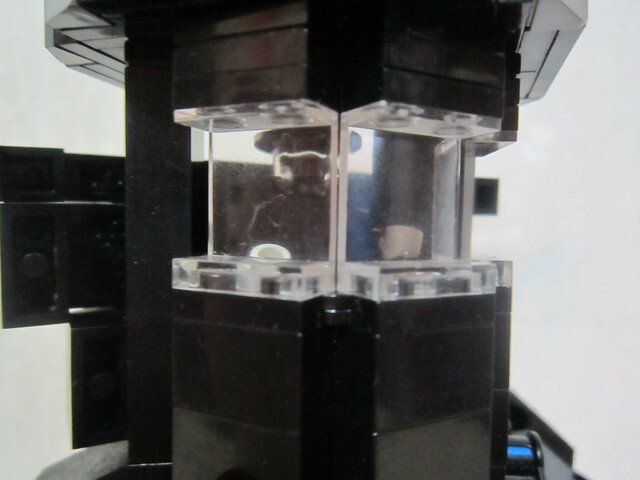 The minifig is pretty cool looking too. 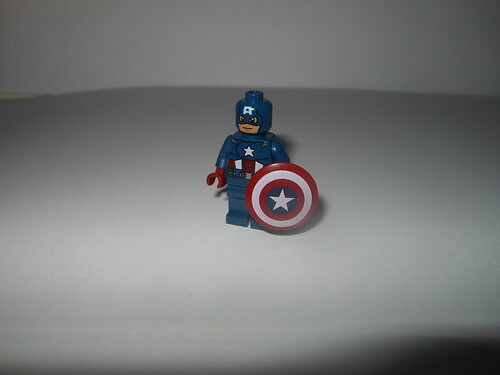 My entry, Captain America (need I even mention his allegiance? Hero, just to be sure). ^Pretty cool, nice setup with the colors. 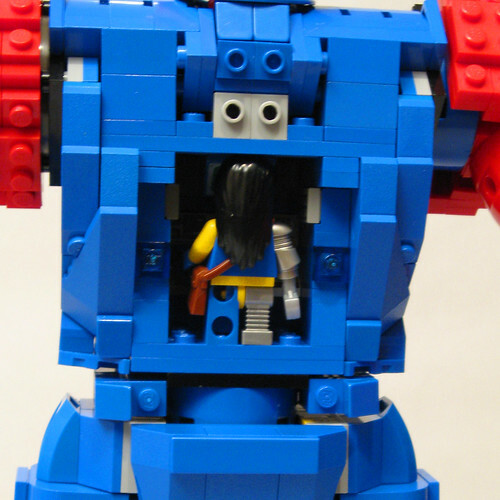 I would have used the shield from the ultrabuild, though. Don't have it (nor would I spend any money on those...things). ^I see what you're saying. 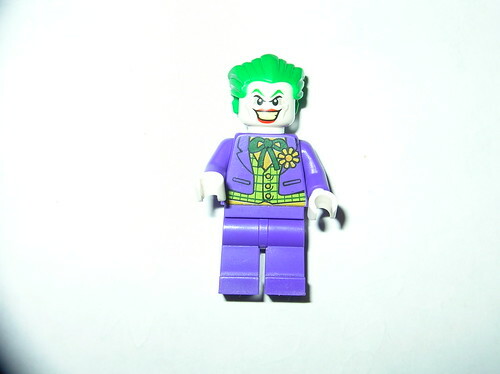 Iron man works for it, Joker looks sort of cool, but the rest are just weird. 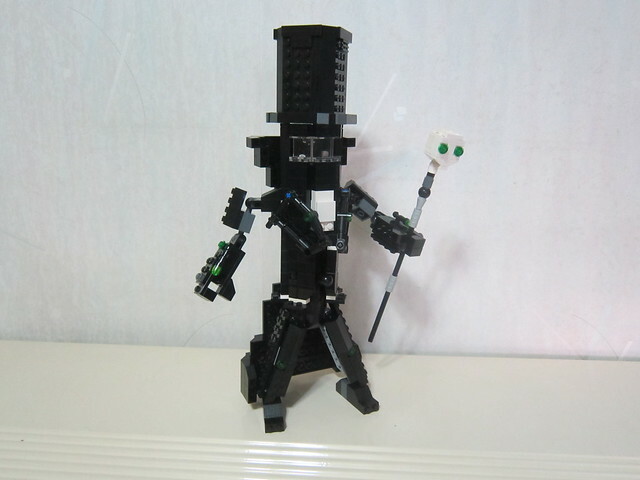 @madlegoman: I think you should and probably will win. I can't wait to start voting! Any ideas how long after the competition the voting threads will be up? I'm not gonna be able to access the forums for about a week while I'm away. Unleashed amplifies Havok's mutant ability, and is powered by cosmic energy (which also makes a pretty handy offensive weapon). Does anyone think we should make special consideration for this guy? Looking at his flicker, his mech seems nearly complete, but since no one has heard from him since this post I can only assume he is still without power and internet due to Sandy. 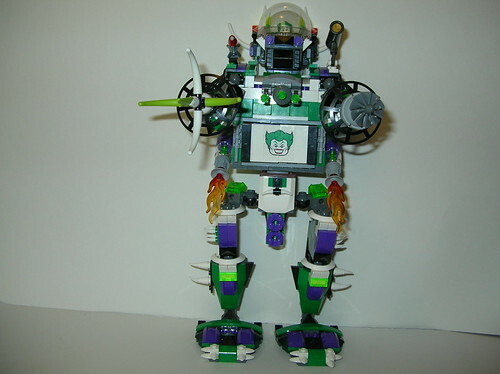 Personally I think his mech looks awesome and would hate to see it not get entered due to natural disaster. What do you guys think? As a neutral party, I feel that would be the honorable thing to do. 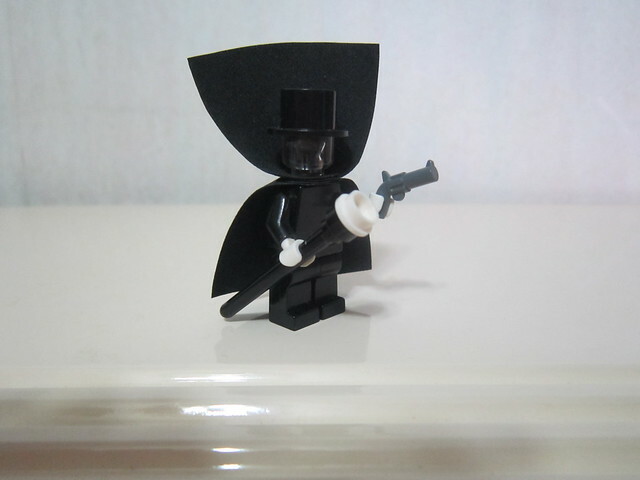 "I find your lack of Lego disturbing." 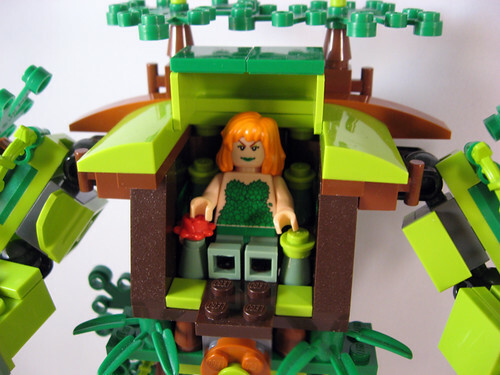 Her Mech is made from living plants grown around a few select pieces of tech. It's weapons include a corrosive venom spewing arm, and a grappling arm, whose vines can grow into the seams and joints of other Mechs. 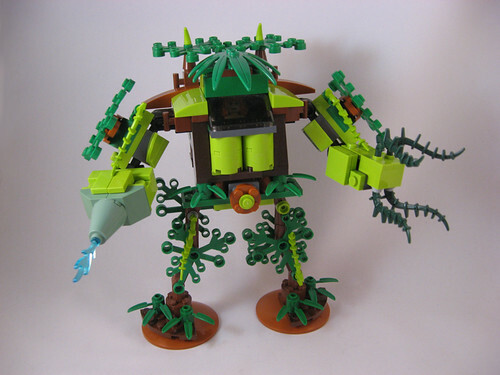 The Flora of the Mech can also regenerate and feed off the radiation of the object. @DanBinks very nice!!! very original! !